Map It! 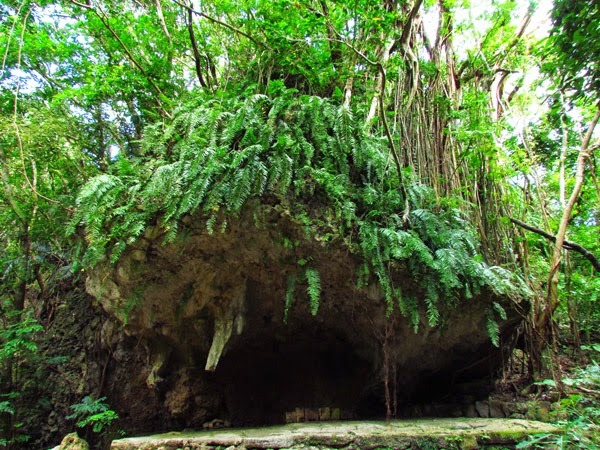 Okinawa: "Sefa Utaki"
Today, Sefa Utaki (or Sēfa) is widely considered one of the most sacred sites in all of the Ryukyu Archipelago. It ranks up there with the islands, Kudaka and Hamahiga – soil where legends claim the first gods walked upon. 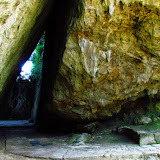 Its triangular-like entrance captivates hundreds and hundreds of visitors daily to this special place. But its unique shape isn't what makes the sacred grove special. It's whats on the other side that gives Sefa Utaki its true intrinsic value, and once there...it's not hard to understand why many Okinawans believe that the gods themselves had a say in its design; there you will find a viewpoint, like a window through the forest, and dead center...a lowly island known as Kudaka-Jima, Okinawa's claimed 'Garden of Eden'. If not for Kudaka, Sefa Utaki would not have the reputation it does today. It is said, here and around Sefa Utaki, that the first Okinawan people settled on the main island. 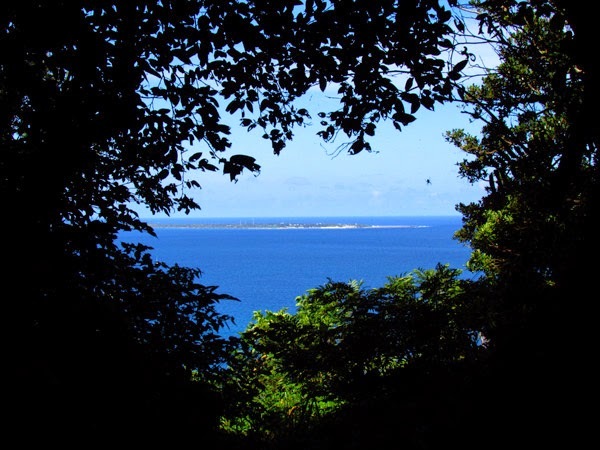 As legend would have it, Amamikiyo – one of the first Okinawa gods, created the area around Sefa Utaki for her people after leaving Kudaka. In subsequent years, the King and the Supreme High Priestess (kikoe ogimi) would come here to pay homage to their earlier ancestors as they faced towards Kudaka Island (1)(2)(3). Yuinchi and Ufuguui. The relationship between Shuri and Sefa Utaki is not one by mere coincidence. You'll find similar areas at Sefa Utaki that mimic the names of special places at Shuri Castle. One is the Yuinchi, meaning “a place full of abundant harvest and catches of fish”(4). At Shuri Castle, this was the cooking quarters for the royal family and at Sefa Utaki, a place where fortunes were told(4). The other is Ufuguui, a place where ritual ceremonies were held at Shuri Castle and its meaning holds similar to that at Sefa Utaki(5). (Author speculation. Perhaps the similarity in names was to give legitimacy to the authority at Shuri Castle being that Sefa Utaki already had a strong appeal with the early Okinawan people. It would make sense for any ruler to blend its relationship with a site widely believed to be sacred). 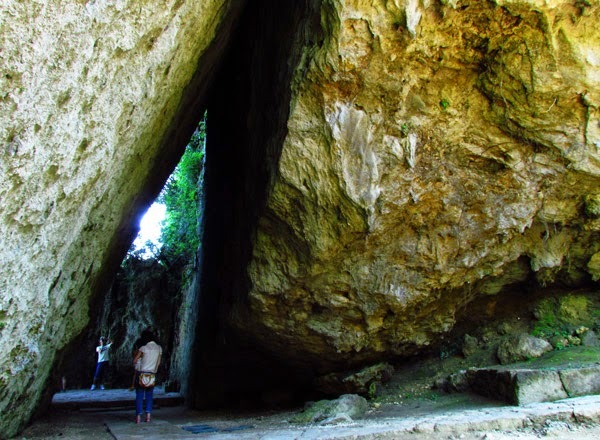 The Two Stalactite Stones. Next to the great triangular-like entrance, you will find an area called the 'kifujinsama oyasumidokoro' where certain rituals were held during the turn of the New Year. Up on top you will see two stalactite stones with pots underneath. 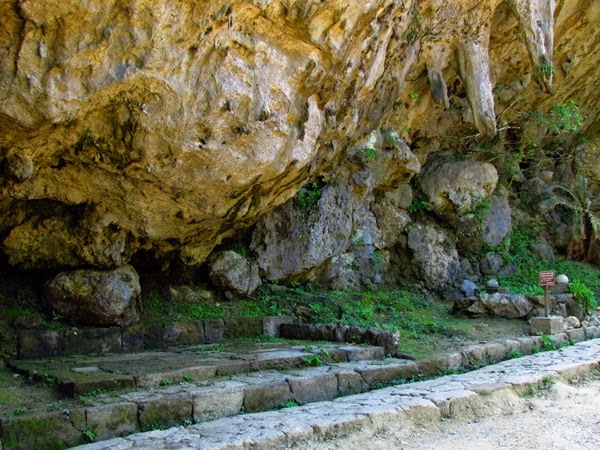 Water dripping from these stones is liken to be holy water and was once used to provide the fortune for the King and the high priestess(6). The Agari Umaii & UNESCO Sponsorship. Sefa Utaki is one of many areas that are considered part of the Agari Umaai Pilgrimage (to be mapped in its entirety). 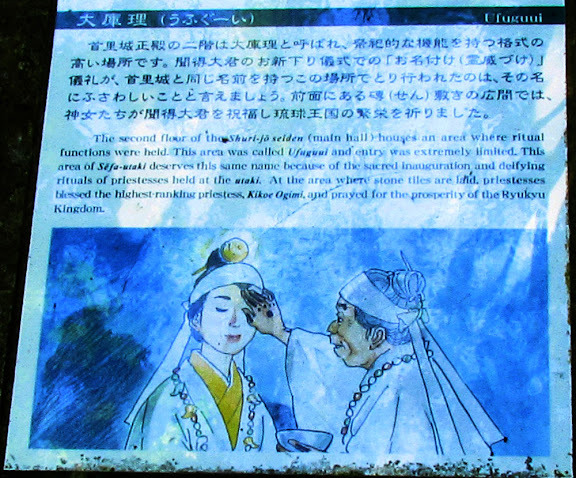 The pilgrimage was used in the Old Kingdom to offer homage to sacred areas that have strong ties to the earlier ancestors, particularly to the goddess Amamikiyo. On May 15, 1972 Sefa Utaki was listed as a National Historical Site and on December 2, 2000, it received UNESCO sponsorship under the United Nations' World Heritage Program (7). Amenities. Public restrooms available. 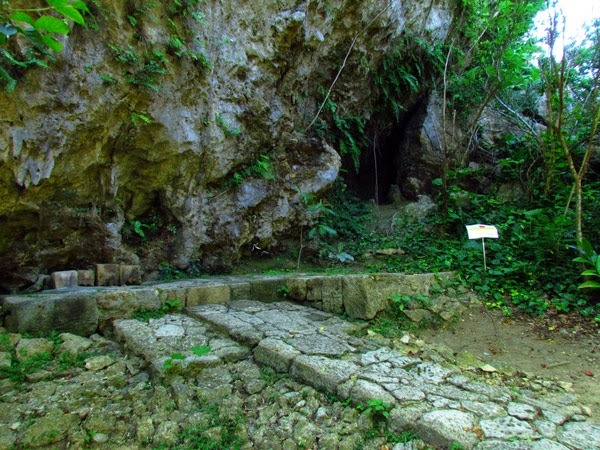 Because of its historical layout and unique nature, it is not wheel chair accessible, nor recommended for baby strollers. Please plan accordingly. Directions. Sefa Utaki sits above Cape Chinen off of Highway 331. Though you will see signs directing you to Sefa Utaki it may not be so evident where you turn off on Highway 331. 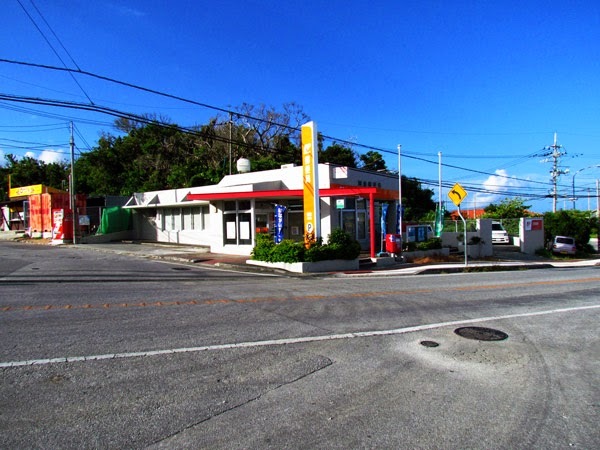 Look for the post office which sits across from the sign pointing you to Cape Chinen. This is the turn-off that takes you up to the parking lot and visiting center. Source of Information. 1. Okinawa Convention & Visitors Bureau 2. Okinawa Prefectural Board of Education 3. Okinawa – A People and Their Gods, James Robinson, 1969, pg 42. 4. 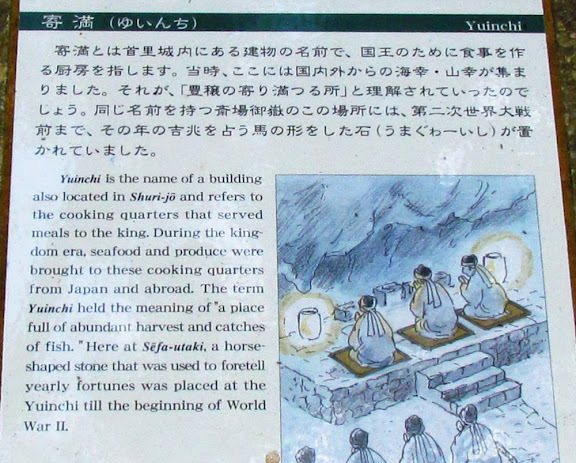 Reference to Yuinchi (sign on site in English) 5. 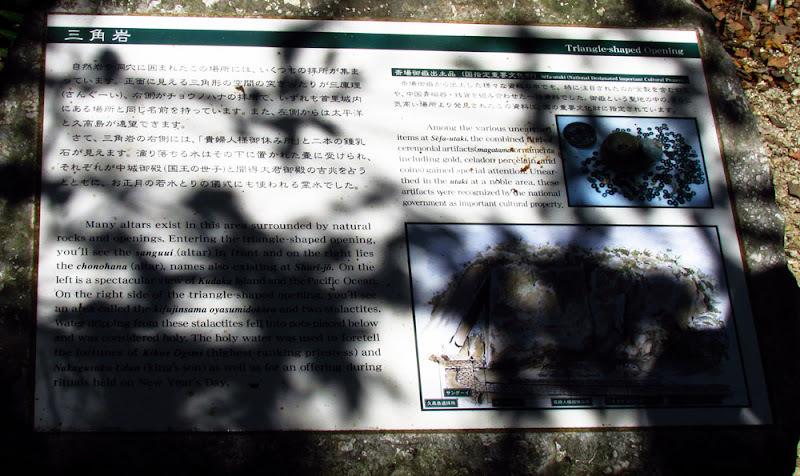 Reference to Ufuguui (sign on site in English) 6. Reference to Kifujinsama oyasumidokoro (sign on site in English) 7. 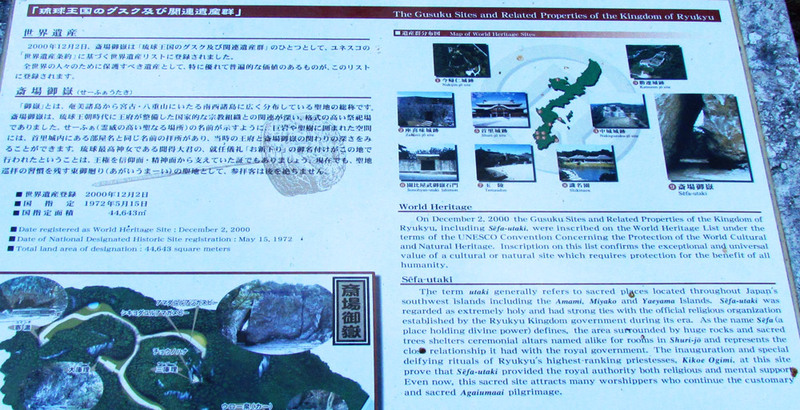 Reference to Agari Umaii & World Heritage Program (sign on site in English). Related Articles. Azama: Gateway to Kudaka, In the Beginning...there was Kudaka-jima, Gateway to the Otherside? Hamahiga Island. Other Places of Interest Nearby. Cape Chinen.